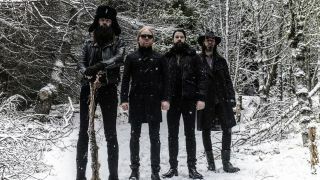 Solstafir have made their new track Ísafold available to stream exclusively with Prog. The song features on the band’s upcoming album Berdreyminn, which will launch on May 26 via Season Of Mist. The band tell Prog: “Our first premiere song Ísafold came very spontaneously to light. It felt like the spirit of Thin Lizzy paid us a visit that day. Adding a classic Phil Rudd beat to that seemed the only right thing to do. “This is not the most typical Solstafir track but in some odd way it could be taken to represent this album. “For such a short song, it offers many different sonic landscapes. And although we are not re-inventing the wheel and you will find many references to ‘classics’ as tributes, I find it quite different from anything that we have done before. Berdreyminn will be Solstafir’s first studio release since 2014’s Otta. Find the artwork and tracklist below.